One of my personal weird "rules" is that I don't like to shoot in the same place twice. I am so much more inspired by new scenes and spaces, and as an artist I never want to fall into a rut or turn on auto pilot. 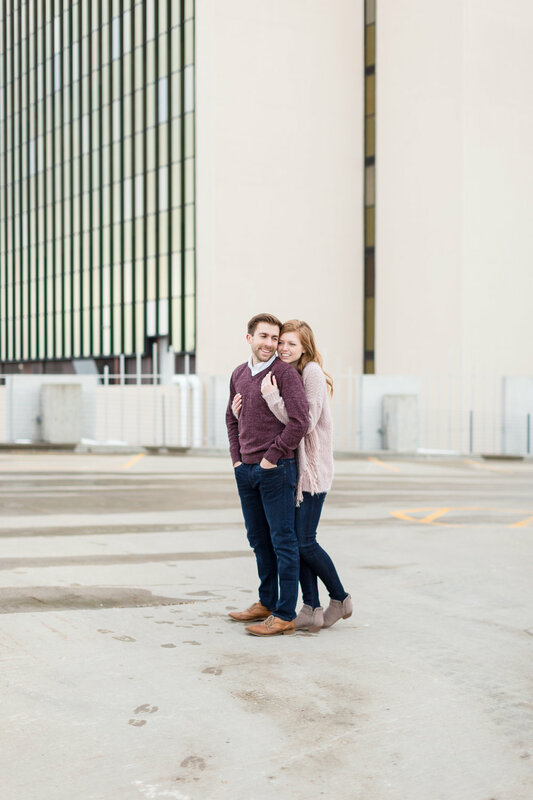 However, I just knew that this familiar space of the Island Park parking ramp would be perfect for these two and their style. Thankfully, it turned out totally different from the past and I loved how my vision came to life. Guys, this post a cool one. I am crazy about these two! We clicked and I think the three of us were all inspired by this day (which we all know will do wonders for the expected wedding-day jitters). These two were completely obsessed with one another and probably would have acted just as cute no matter where I put them, but we really liked our spots. We started out at Nicoles Fine Pastry for some yummy coffee, that we then took to go in order to head out on our other adventures! We ended the shoot on a cuddly note (obviously, knowing these two sweeties!) 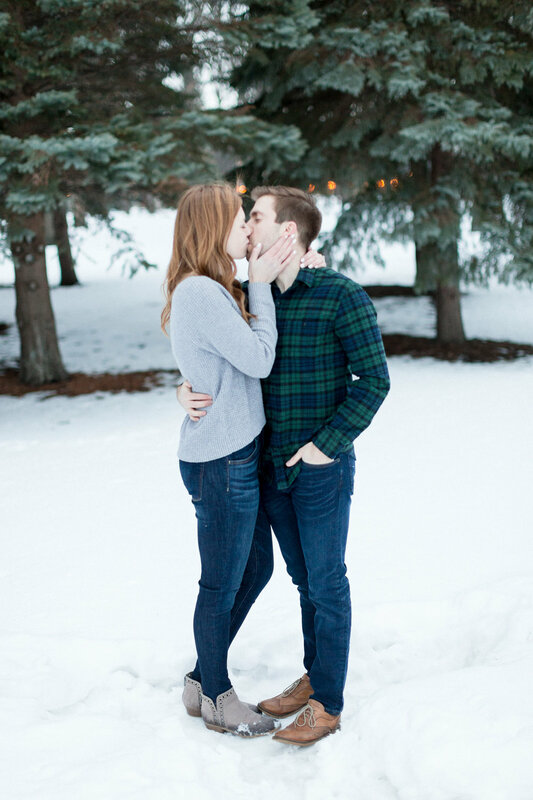 and the cool greens of the pine trees was the perfect colored backdrop, especially with Hannah's fiery and gorgeous hair! 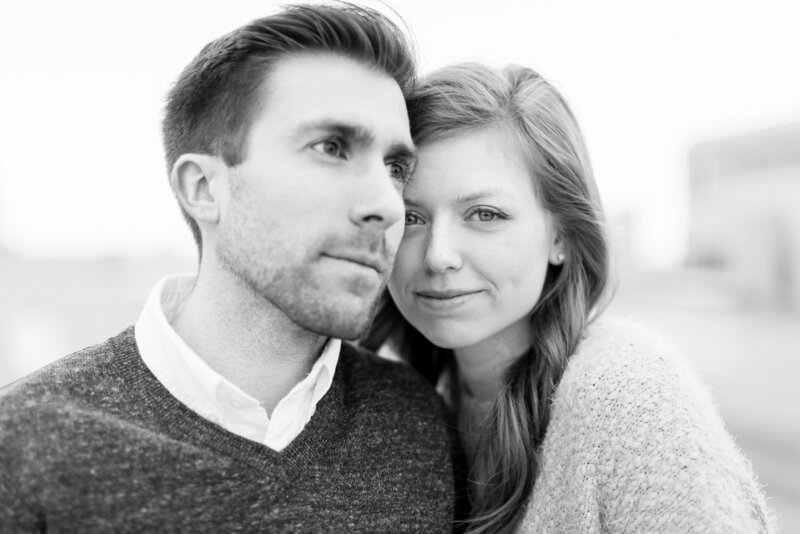 Stay tuned for their gorgeous classic wedding later at the end of July this year! BIG thanks to Fast Foto for the amazing film scans! !